Nikon released a new update for SnapBridge (version 2.0.1) with some major improvements including improved remote control functionality. Download links: iOS | Android. We have made the pairing process easier to understand. Camera settings can now be adjusted remotely, allowing a wider variety of photos to be taken by remote control. The app can now pair the device with up to five cameras. Images on the camera now display faster when viewed on the smart device before download. We added a power-saving mode that reduces the amount of data exchanged between the camera and the smart device, letting you use the app without worrying about the battery level. 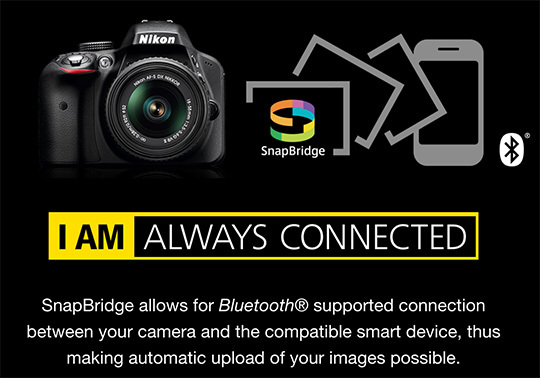 Additional information on the latest version of SnapBridge can be found on Nikon's website. This entry was posted in Nikon Software and tagged Nikon SnapBridge. Bookmark the permalink. Trackbacks are closed, but you can post a comment.